Juan and I stopped by the Fillmore Jazz Festival in San Francisco last weekend and met a very talented artist by the name of Gabe Leonard. 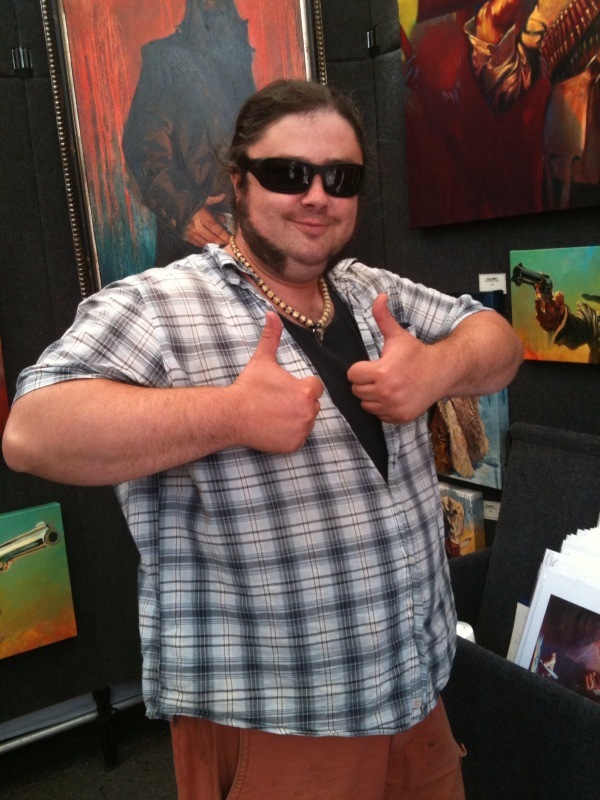 Juan first discovered Gabe's work at San Diego State University's Art Fair a few years back, which featured his collection of oil paintings focused primarily on fantastical themes. However, more recently, Gabe has been working on Wild West/Outlaw inspired pieces, which he showcased at the Fillmore Jazz Festival. We purchased a print of Dead Man's Hand to display in our new apartment, which desperately needed a final piece in the dining room (aka poker room). It was a great honor meeting Gabe and I hope he continues to pursue his dream as a background painter in feature animation. Do you Remember Beepers? Pagers? Numeric Code?